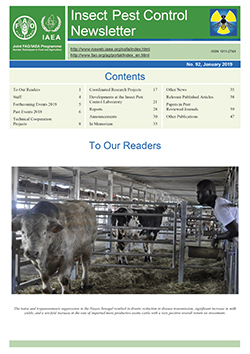 INTERNATIONAL ATOMIC ENERGY AGENCY, Insect Pest Control Newsletter No. 92, January 2019, Insect Pest Control Newsletter No. 92, IAEA, Vienna (2019).